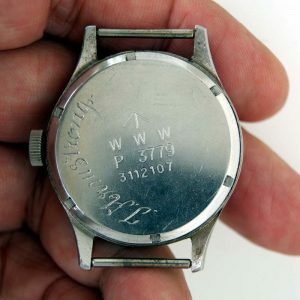 This watch was made at the beginning of 1944, almost certainly in preparation for the massive D-Day Landings later that summer. 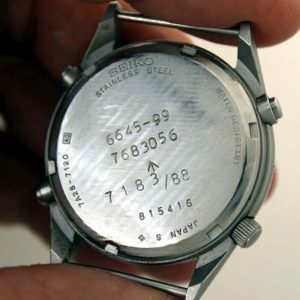 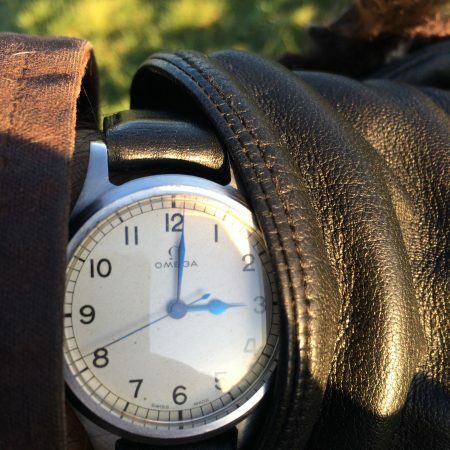 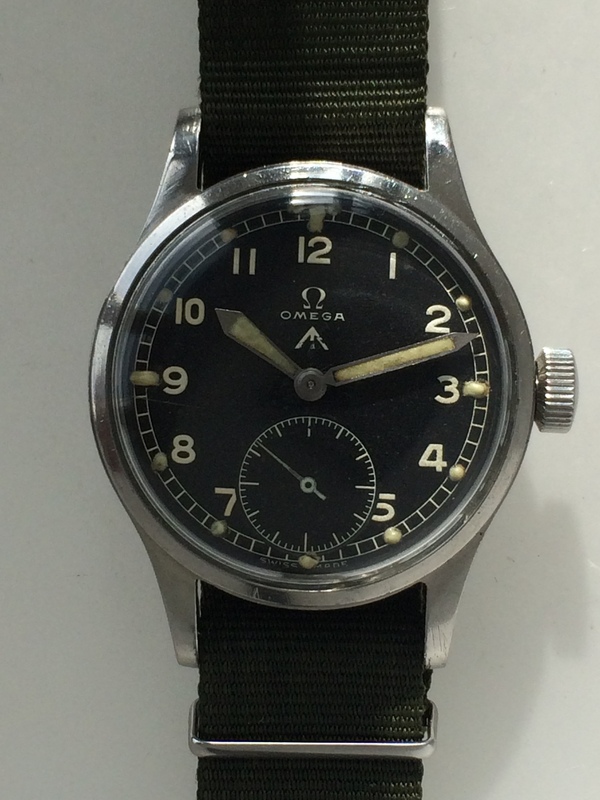 A lovely piece of history that is both collectible and robust enough to be a daily wearer. 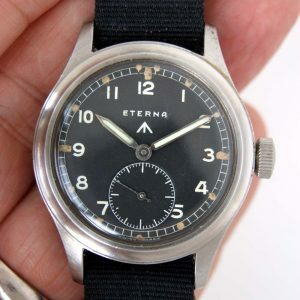 These watches have the solid build quality to withstand the war but powered with a sophisticated chronometer-rated cal. 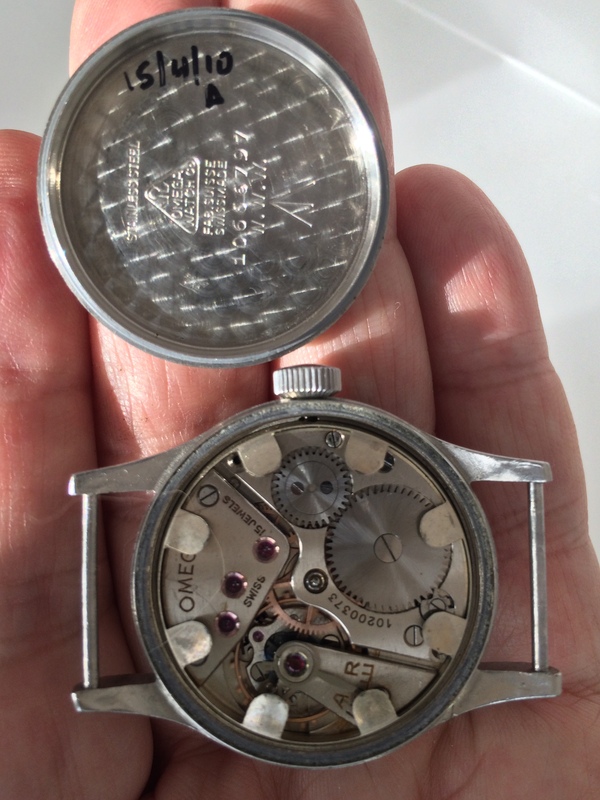 30T2 manual winding movement under the hood. 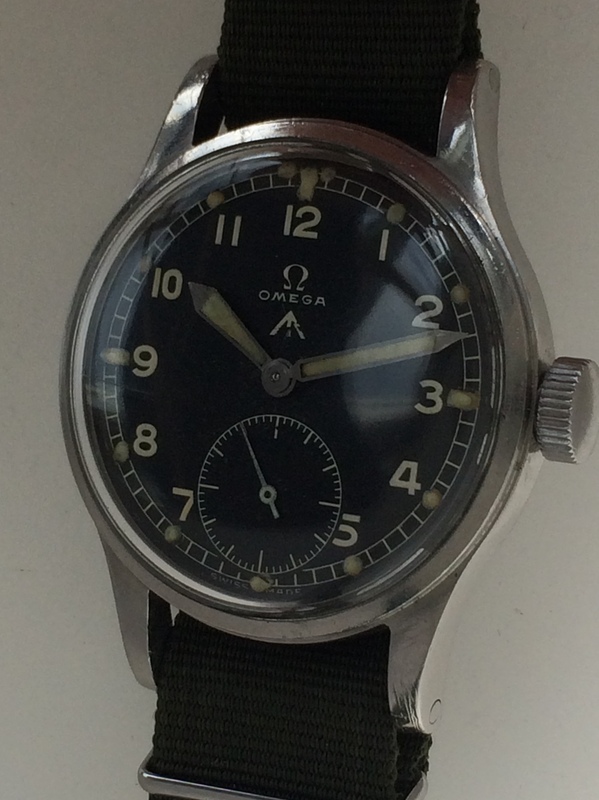 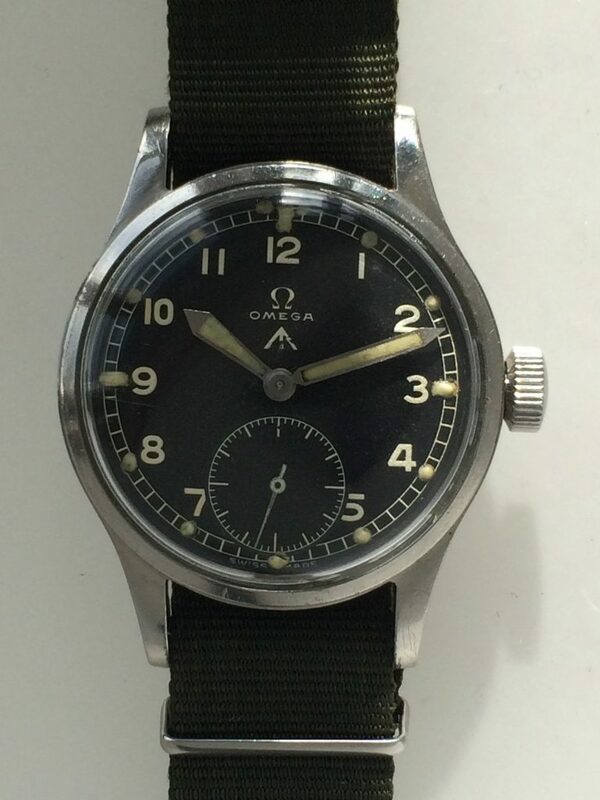 Lovely clean example of this iconic military Omega. 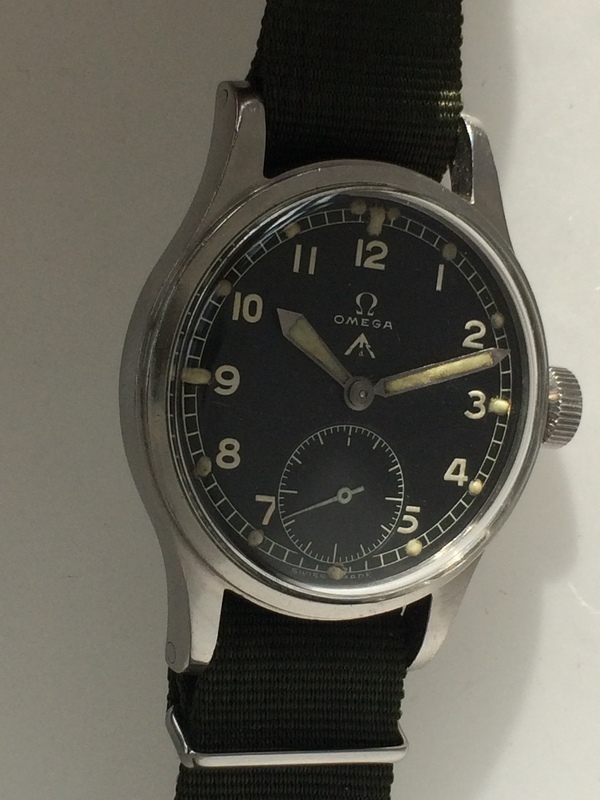 Very good example in superb condition. 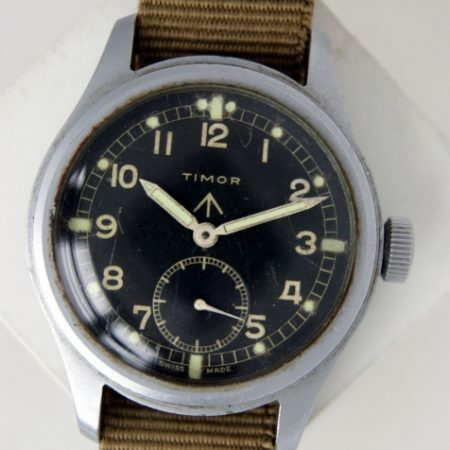 Full and correct military issue markings on the case-back. 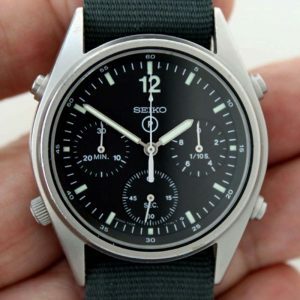 Comes on new NATO strap.